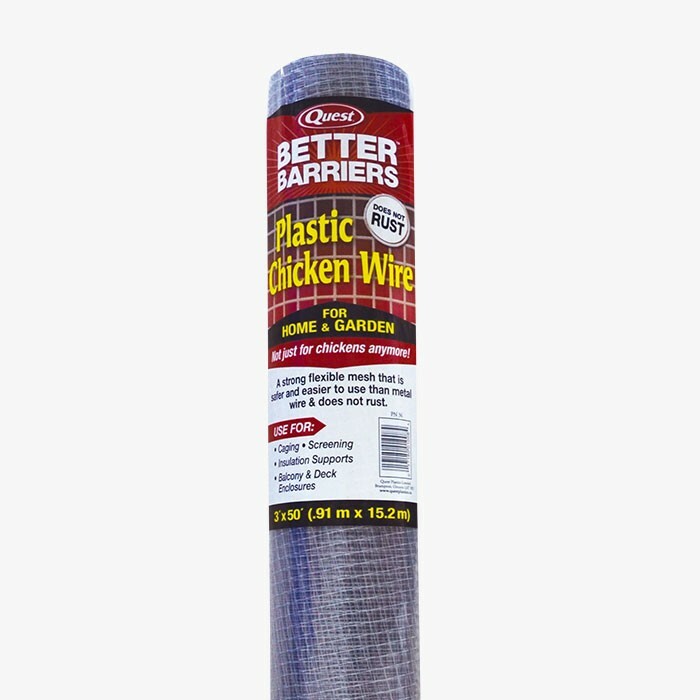 This Plastic Chicken Wire Fence 4' x 50' Roll by Resinet features a 1/2" x 1/2" Silver Mesh and is designed for use where a strong and flexible enclosure is needed. This Plastic Chicken Wire Fence 4' x 50' Roll by Resinet features a 1/2" x 1/2" Silver Mesh and is designed for use where a strong and flexible enclosure is needed. The plastic design is much easier to handle when compared to metal meshes due to its lack of sharp edges.